Paediatrician Dr David Southall has said he may return to child protection work after winning an appeal in a long dispute over a case he handled. Ruling out a return to the NHS, he said he would go back to a similar role if "support and training" were available. On Tuesday he was put back on the medical register after judges ruled the General Medical Council had not given adequate reasons for striking him off. The claim is that he accused a mother of drugging and murdering her son. The case has now been sent back to the General Medical Council (GMC) panel, which will have to again consider the allegation that Dr Southall made unjustified allegations about the mother, identified as Mrs M.
Dr Southall has denied ever accusing her of murder or conducting an interview with her - about the safety of her surviving son - in an aggressive and hostile manner. The panel took Dr Southall off the register in 2007, and at the time said the paediatrician had a "deep-seated attitudinal problem". It found that his actions had added to the distress of Mrs M following the death of her son, who hanged himself in 1996. Speaking to BBC Radio 4's Today programme, Dr Southall said one of the most "exciting" things to have come from Tuesday's ruling was that the GMC was now going to set up a board to examine training and guidance issues. Dr Southall said the move was much needed for paediatricians - and social workers - to guide them on how they talk to families and how they investigate child protection issues. "At the same time, and this is important thing, [paediatricians] need support because this work is not easy, it's almost dangerous for doctors," he said. Dr Southall said that while many families were simply in need of social work help, there were some who were "dangerous" and were committing "serious crimes against children". The doctor said many people were nervous of becoming paediatricians because of the complexity of child protection work, but added that he hoped the GMC's new approach would make a difference. When asked if he would return to the work he had done before he said "only with appropriate support and training". "I am not going to go back to NHS paediatrics, I am too involved with my international work to do that. "But I may go back to child protection work, if I am given sufficient support and the people involved are happy with me doing so," he told Today. The case was not the first time Dr Southall had been censured by the GMC. 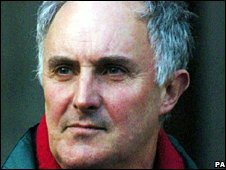 In 2004 he was found guilty of serious professional misconduct and suspended from child protection work over his role in the case of Sally Clark, wrongly jailed over the death of her two sons. At the time he was banned from child protection work for three years. In the most recent case Dr Southall had argued the GMC panel had failed to give "any or adequate weight" to inconsistencies in Mrs M's evidence, and that they did not understand what child protection work involved. Lord Justice Leveson, giving the Appeal Court ruling on Tuesday, said he was "far from convinced" the case should be re-heard by the GMC panel but conceded it was up to them to decide. Niall Dickson, chief executive of the General Medical Council, said: "Although the case has been remitted back to the original panel, it is clear that the court has overruled the panel's finding in relation to Mrs M.
"We accept that and will take immediate steps to resolve the outstanding issues raised in the judgement." The panel has also yet to consider what penalties should be imposed on Dr Southall on other charges. They relate to complaints over his clinical practice in maintaining special case files separate from main hospital records.